Umm, do you even know what those abrevations mean and why would you run those circuits at different voltages because they run at nearly the same voltage ranges? 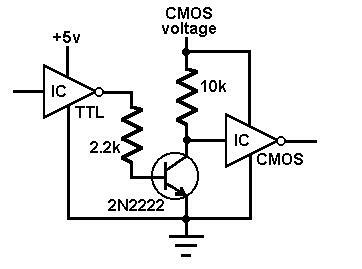 TTL and CMOS are just the circuits using the the chip's internals, you would not need this circuit to run them together. It's nice ,thank you !